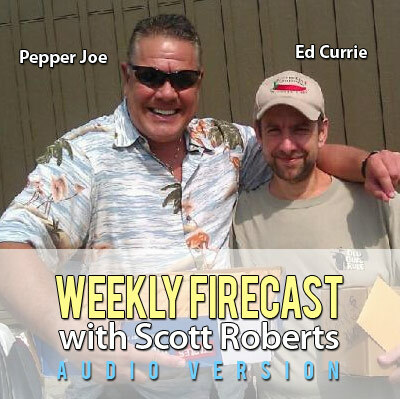 Your favorite fiery foods and BBQ video show has now switched to an audio podcast format! Click here to subscribe via iTunes for playback on your iPod, iPhone or iPad, or subscribe via RSS Feed to download the episode(s) in your favorite podcast catcher. First, I speak with Brian & Marilyn Meagher of HotSauceDaily.com and HotSauceWeekly.com, and discuss briefly the history of their site and podcast, what they think of hot sauce reviewing in general, and attending fiery foods events. Then I chat with Ed Currie of PuckerButtPepperCompany.com and Pepper Joe of PepperJoe.com about the release of the HP22B Chile Pepper AKA the Carolina Reaper Pepper, which is a contender for the Hottest Chile Pepper in the World. Plus, I review Captain Thom’s Thai Monkey Sauce.